Nils Hilmer Lofgren (born June 21, 1951) is an American rock musician, recording artist, songwriter, and multi-instrumentalist. Along with his work as a solo artist, he is a member of Bruce Springsteen's E Street Band since 1984, a former member of Crazy Horse, and founder/frontman of the band Grin. Lofgren was inducted into the Rock and Roll Hall of Fame as a member of the E Street Band in 2014. Lofgren was born in Chicago in 1951 to Swedish/Italian parents. He moved to the suburban town of Garrett Park, Maryland, near the northern border of Washington, D.C. as a very young child. Lofgren's first instrument was classical accordion, beginning at age 5, which he studied seriously for ten years. After studying classical music and jazz, throughout his youth, Lofgren switched his emphasis to rock music, and focused on the piano and the guitar. By 1968, Lofgren formed the band Grin originally with bassist George Daly (later replaced by Bob Gordon), and drummer Bob Berberich, former players in the DC band The Hangmen. The group played in venues throughout the Washington, D.C. area. Lofgren had been a competitive gymnast in high school, a skill that popped up later in his career. During this time, Lofgren met Neil Young and played for him. Young invited Lofgren to come to California and the Grin trio (Lofgren, Daly and Berberich) drove out west and lived for some months at a home Neil Young rented in Laurel Canyon. Lofgren joined Neil Young's band at age 19, playing piano and guitar on the album After the Gold Rush. Lofgren worked on his parts around-the-clock when recording was not in session. Lofgren maintained a close musical relationship with Young, appearing on his Tonight's the Night album and tour among others. He was also briefly a member of Crazy Horse, appearing on their 1971 LP and contributing songs to their catalogue. Lofgren used the Neil Young album credits to land his band Grin a record deal in 1971. Lofgren had formed the band originally with bassist George Daly and drummer Bob Berberich, and the group played in venues throughout the Washington D.C. area before going to California. Daly left the band early on to become a Columbia Records A & R Executive and was replaced by bassist Bob Gordon, who remained through the release of four critically acclaimed albums of catchy, hard rock, from 1971 to 1974, with guitar as Lofgren's primary instrument. The single "White Lies" got heavy airplay on Washington, D.C.-area radio. Lofgren wrote the majority of the group's songs, and often shared vocal duties with other members of the band (primarily drummer Bob Berberich). After the second album Nils added brother Tom Lofgren as a rhythm guitarist. Grin failed to hit the big time, and were released by their record company. In 1974 Grin disbanded. Lofgren's eponymous debut solo album was a success with critics; a 1975 Rolling Stone review by Jon Landau labeled it one of the finest rock albums of the year, and NME ranked it 5th in its list of albums of the year. Subsequent albums did not always garner critical favor, although Cry Tough was voted number 10 in the 1976 NME Album round up;I Came to Dance in particular received a scathing review in the New Rolling Stone Record Guide. He achieved progressive rock radio hits in the mid-1970s with "Back It Up", "Keith Don't Go" and "I Came to Dance". His song "Bullets Fever", about the 1978 NBA champion Washington Bullets, would become a favorite in the Washington area. Throughout the 1970s, Lofgren released solo albums and toured extensively with a backing band that again usually included brother Tom on rhythm guitar. Lofgren's concerts displayed his reputation for theatrics, such as playing guitar while doing flips on a trampoline. In 1971 he appeared on stage on the Roy Buchanan Special, PBS TV, with Bill Graham. In 1973 he appeared with Grin on NBC on Midnight Special, performing three songs live. In 1978 he wrote and sang the "Nobody Bothers Me" theme for a D.C. Jhoon Rhee Tae Kwon Do advertisement, and also appeared in the ill-received Sgt. Pepper's Lonely Hearts Club Band movie. Nils is credited on 2 of Lou Gramm (of Foreigner) solo albums: "Ready or Not" released in 1987 (Nils listed as lead guitarist) and "Long Hard Look" released in 1989 (Nils listed as one of the guitarists). In 1987 he contributed the TV Show theme arrangement for Hunter. In 1993 he contributed to The Simpsons, with two Christmas jingles with Bart. In 1995 he appeared on a PBS tribute to the Beatles along with Dr. John. From 1991-95 he was the CableAce Awards musical director and composer. In 1984, he joined Bruce Springsteen and the E Street Band as the replacement for Steven Van Zandt on guitar and vocals, in time for Springsteen's massive Born in the U.S.A. Tour. Following the tour he appeared on Late Night with David Letterman, to promote his 1985 solo release Flip. The E Street Band toured again with Springsteen in 1988 on the Tunnel of Love Express and Human Rights Now!. In 1989 Springsteen broke up the E Street Band, but Lofgren and Van Zandt rejoined when Springsteen revived the band in 1999 for their Reunion Tour, followed by The Rising and another massive tour in 2002 and 2003, then again for the Magic album and world tour of 2007/2008, and most recently in 2012-2013 for the Wrecking Ball Tour and in 2014 for the High Hopes Tour. Lofgren continues to record and to tour as a solo act, with Patti Scialfa, with Neil Young, and as a two-time member of Ringo Starr's All-Starr Band. Many of the people he worked with on those tours appeared on his 1991 album, Silver Lining. 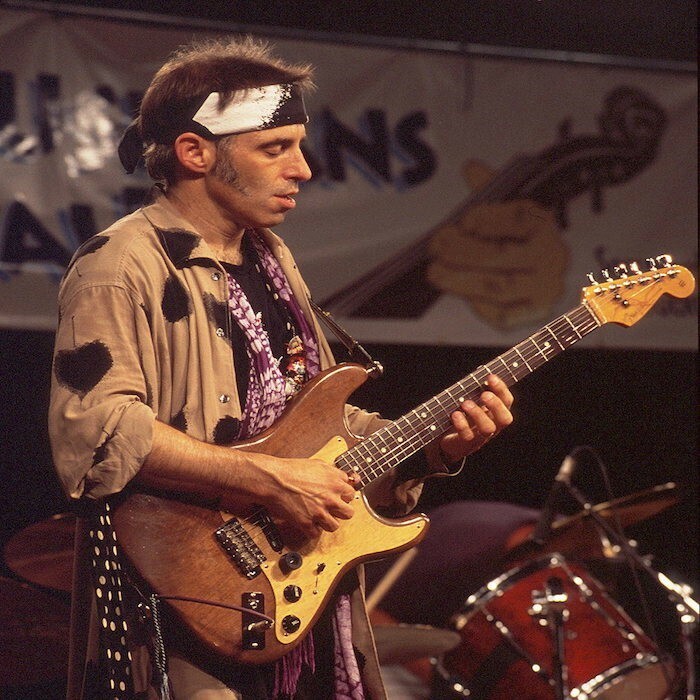 During the 2000s he got his own "Nils Lofgren Day" in Montgomery County, Maryland (August 25). In 2006 Lofgren released Sacred Weapon, featuring guest appearances by David Crosby, Graham Nash, Willie Nelson and Martin Sexton. In 2006 he recorded a live DVD Nils Lofgren & Friends: Acoustic Live. On June 23, 2006, Lofgren performed at a benefit concert for Arthur Lee at New York's Beacon Theater, along with Robert Plant, Ian Hunter, Yo La Tengo and Garland Jeffreys. In 2007, he appeared playing guitar as part of Jerry Lee Lewis' backing band for Lewis' Last Man Standing Live concert DVD. He released The Loner - Nils Sings Neil, an album of acoustic covers of Neil Young songs, in 2008. In September 2008, Lofgren had hip replacement surgery for both of his hips as a result of years of playing basketball, "performance 'flips' on stage, and age." In August 2014, a box set, Face the Music, was released on the Fantasy label. The career-spanning retrospective contains nine CD's and a DVD covering 45 years. Novelist Clive Cussler lives close to Lofgren's Arizona home, and collaborated on a song with him, which they co-wrote, and recorded, titled, "What Ever Happened to Muscatel?" In 2010, Lofgren - a self-described "huge sports fan" - wrote a long open letter to ESPN and the rest of the sports reporting community, condemning their favorable treatment of Michael Vick's return to football stardom. Lofgren primarily uses a variety of Fender guitars and amplifiers. During performances of the song "The River" on The E Street Band's Working on a Dream Tour, Nils would use a custom Fender Stratocaster double-neck guitar, with one 12-string neck, and one standard six. The 12 string was tuned B-G-Bb-F-D-Eb, and the six string A-G#-Bb-Bb-Bb-F#.